The refinery, town and surrounding 12,500 acres were acquired by partners Isaac H. Kempner and William T. Eldridge in 1908. 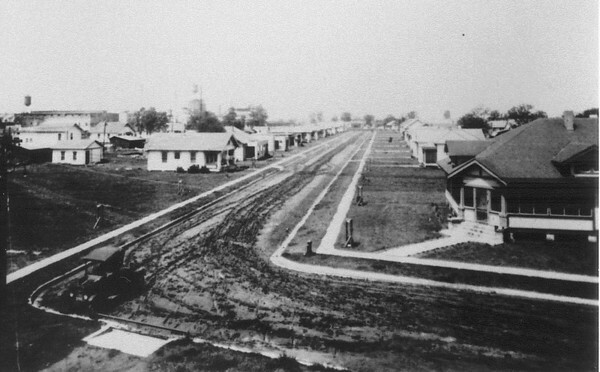 They began a process of transforming Cunningham's Sugar Land into a model company town. They went about transforming what some had called the "Hell Hole of the Brazos" -- a small, rundown, isolated industrial center that included a raw sugar mill, refinery, paper and acid plants, a commissary, saloon and pool hall. A neighboring bar and brothel were immediately closed. Cunningham's convict population was transferred to the state. The course was set to what would become a five-decade transformation, initiated by the founding of Imperial Sugar, a thriving business and company town. Kempner and Eldridge built streets, houses, commercial businesses, churches, schools and medical facilities to draw "family-type" workers to their isolated refinery and town. Sugar Land flourished as a company town for five decades under the leadership of Kempner and his son Herbert who owned the properties and land, and under the stewardship of their partner Eldridge who managed the company and town. Ike Kempner put much of his profits from the company back into the town, making it attractive for prospective employees. In Sugar Land, everyone had a job—either at Imperial or Sugarland Industries, Kempner’s other company that owned everything else—the stores, the bank, the cattle ranch, the canning company, the mercantile. What you bought—food, clothes, even a car—was paid off through payroll deduction. Health care was virtually free. Imperial put in streets, sewer lines, gas and electric lines and built a network of levees and canals to control flooding and cool refinery equipment. Kempner and Eldridge practiced a business model known as welfare capitalism, providing an environment and amenities for workers and their families, neither required by law or benefiting their industry. Not only was their experiment capitalistic by nature, it also took workers’ needs into consideration. Testimony of their adherence to this concept was long-average employee tenure and Sugar Land’s successful evolution from company town to dynamic incorporated city. If you can find a copy, this definitive history of the company town was written by R.M. Armstrong who was born here in 1908. He graduated from Sugar Land High School in 1926 and began working for the company in 1938, a career that would last 35 years. With the help of those who lived and worked here, he creates a detailed history of the evolution of a company town and the oldest continuously operating business in Texas.